People who want a trusty plan from people constantly updating to make things better for the customer. A Doctor of Veterinary Medicine, Dr. Jack Stephens, founded Pets Best in 2005. He is highly regarded as the “father” of the pet insurance industry in North America. He started Pets Best because he saw too many owners unprepared for the financial burden of helping their pets with serious illnesses, who were faced with euthanizing their beloved pets instead. 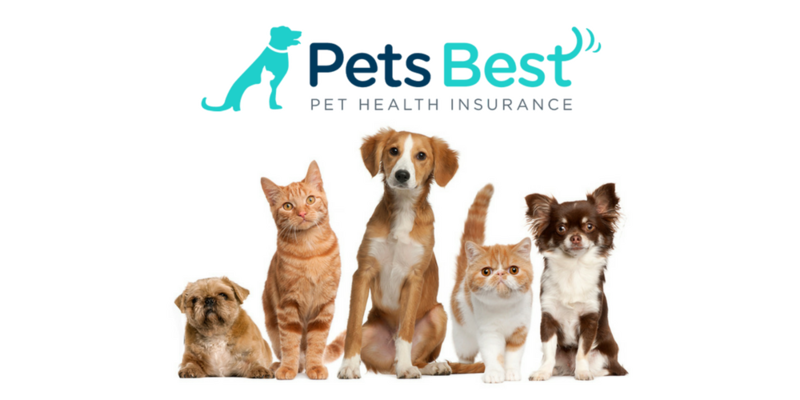 Pets Best now offers their coverage through contracts with other insurance companies such as Farmer’s and Progressive, so you can bundle pet insurance with other types of insurance such as car and homeowner’s insurance. Pets Best has Accident and Illness plans, as well as just Accident plans. Their Accident and Illness plans are in three levels: Essential, Plus and Elite, and the prices vary depending on the plan you choose. Prices tend to range for Pets Best depending on where you live and the breed and size of your pet. All Pets Best Accident and Illness plans cover accidents, illnesses, cancer treatments, hereditary and congenital conditions, emergency care, surgery and hospitalization, prescription medications. The Pets Best Essential plan covers all of the above and specialist and outpatient care, medication injections, lab tests, ongoing and chronic conditions, diagnostic tests like MRI, CAT and X-ray, older pets, dental care, prosthetic devices and euthanasia. The middle plan, the Plus, also covers exam fees, while acupuncture, chiropractic and physical therapy are covered in the Elite plans, but this can be adjusted to fit your budget. You can purchase accident only plans starting at $9 a month depending on where you live and if you are insuring a dog or a cat. Pets Best has two routine care plans: The Essential Wellness plan at $16/month and the Best Wellness plan at $26/month. These plans have no deductibles and cover a certain amount toward things like spay/neuter, wellness exams, deworming, teeth cleaning, Rabies, flea/tick prevention, microchip, urinalysis, and more. These plans can’t be purchased alone, they must be added on to an existing Accident and Illness package (not available with Accident Only). Pets Best excludes pre-existing conditions, elective and preventive procedures, parasites, special foods and alternative care and treatments. There are no upper age limits for your pets and your pet will not get kicked out of the plan at a certain age. Waiting periods are three days for accidents, next day for Routine Care packages, and 14 days for illnesses. Pets Best has a variety of deductibles: $50, $100, $200, $250, $500, $1000 which is the amount you will have to pay before your reimbursement takes effect. You can choose either a $5,000 annual limit or unlimited with any of the plans. Choosing the $5,000 option only lowered our monthly payment by $5, so it may not be worth it to you to do this. Pets Best will reimburse 70%, 80% or 90% of your total bill, depending on the plan you choose, after you meet the deductible you select. You can get your claims processed in as little as five days, and even have your funds direct deposited. Pets Best makes it easy to submit claims through their online portal or their mobile app. Everything can be done digitally, and they get funds back to you quickly. You must include your proof of payment, signed claim form, and original paid invoice. Pets Best also prides itself in its charity work and works with many rescues and other organizations to help change the lives of as many animals as they can. We love the Pets Best quote engine – it is super user friendly, and it is very clear what you get – and what you don’t get – when you get this insurance. We did a sample quote (we use the same variables across all providers) just to see what we could get. We used a Seattle-area zip code (admittedly a pricier place to own an animal) a mid-sized, mixed-breed dog and came up with $39.29 per month for the Essential plan, $45.84 per month for the Plus plan and $47.97 for the Elite plan. Pet best is a pretty decent company. I am grateful to realize this now, after 6 months of paying premium on 3 dogs and 2 little kitties. Love Pets Best!! Trupanion is decent too. We have been very happy with Pets Best!